Did you know that we publish a regular newsletter on the progress of the Wolverhampton City Centre Metro extension? This is the latest edition of Tramsforming Wolverhampton and back issues can be found by visiting Publications. There will be no access to Castle Street from Pipers Row from Sunday 7 April until Thursday 11 April, then from Sunday 13 April until Monday 22 April. Whilst this closure is in place all vehicles will need to follow the clearly signed diversion route. Access to Castle Street will be available for all vehicles on Friday and Saturdays. All vehicles will need to follow the clearly signed diversion route. 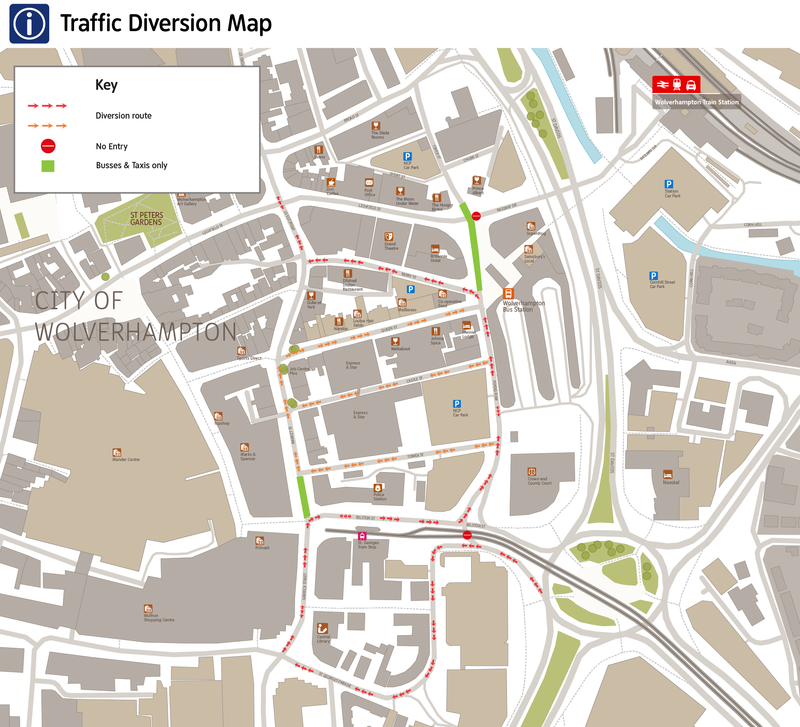 To facilitate improvements to the street scene in Pipers Row, the footpath adjacent to Wolverhampton Bus Station leading to and from the Wolverhampton Crown and County Court will be closed from Thursday 21 February for a period of 8 weeks. 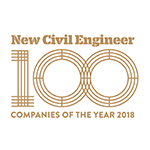 During this time the entrance to the bus station adjacent to Costa Coffee will not be in use, and members of the public wishing to enter/exit the bus station will need to do so via the entrance closest to the Network West Midlands Travel Shop or opposite the NCP car park on Pipers Row. 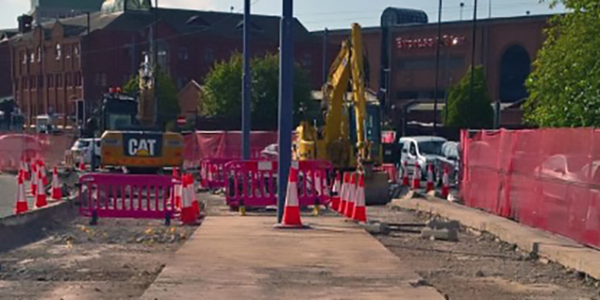 Pipers Row reopened to traffic and the diversions on Tower Street, Castle Street, Queen Street, Berry Street and Lichfield Street ceased on Sunday 2 September 2018 as work on the second phase of the Wolverhampton City Centre Metro extension reached another milestone. You can find more information about this here. A localised diversion remains in place to access Pipers Row directly from Bilston Street. To celebrate the reopening of Pipers Row to vehicular traffic, we have put together timelapse footage of the project so far. From Tuesday 26 February the entrance/exit to the subway adjacent to Wolverhampton Crown and County will be closed for a period of 12 weeks in order to carry out kerbing and paving works. During this time there will be a signed diversion in place for anyone wishing to access the building. 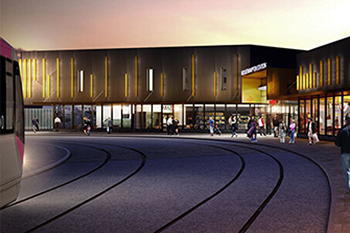 As part of the Wolverhampton Interchange, the West Midlands Metro extension will run from a junction with the existing West Midlands Metro system close to the current terminus at Wolverhampton St. George’s through to Wolverhampton Railway Station. 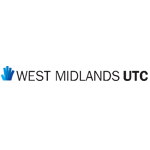 West Midlands Metro will stop at the city’s Bus Station on Pipers Row, before continuing to Wolverhampton Railway Station, allowing easy interchange with other modes of transport. This West Midlands Metro extension is part of an overall investment in the city in excess of £150m. 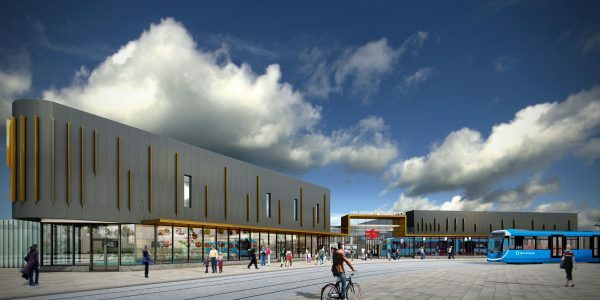 The projects, which make up the Wolverhampton Interchange, will jointly deliver 1,500 jobs and improve transport for the people of Wolverhampton and the Black Country as a whole. Improving connectivity to High Speed Rail for Wolverhampton when HS2 is built. 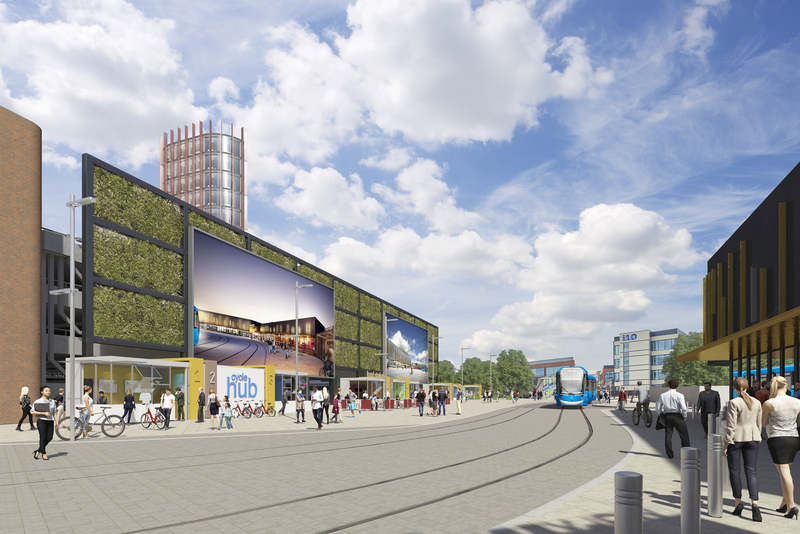 On 24 June 2016, the Secretary of State announced his decision to make the Wolverhampton City Centre Extension Order (the notice & decision letter). More details can be found here. 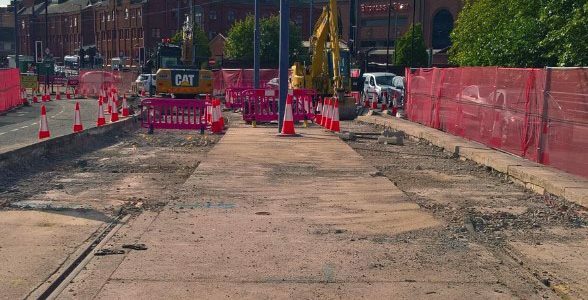 This means the Midland Metro Alliance now has the powers necessary for the construction, operation and maintenance of the extension. Preparatory works to divert utilities commenced in autumn 2017 and the first phase of constructing this route was completed ahead of schedule in 2017. Enabling construction along Pipers Row began in March 2018, with full construction to commence after the Easter Bank Holidays. This phase of works has reached a milestone on 2 September 2018 when Pipers Row reopened to traffic. For frequently asked questions on the extension and the phase two construction programme, please click here. The works are part of the Wolverhampton Interchange and the Midland Metro Alliance is working closely with the City of Wolverhampton Council and other partners in the Wolverhampton Interchange with the aim that the West Midlands Metro will open for passenger service following the completion of Wolverhampton’s new Railway Station in 2020. Traffic and pedestrian diversion maps are available below. Service frequency to the railway station: Six minute service during peak times with a 15 minute service off-peak. With two to four trams per hour serving Wolverhampton St George’s. 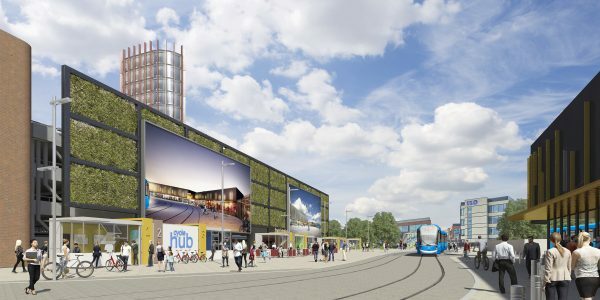 The Midland Metro Alliance is working on behalf of the West Midlands Combined Authority and Transport for West Midlands (TfWM) to construct a West Midlands Metro extension to link to Wolverhampton’s new railway station. The Metro already goes to Wolverhampton, why is this being extended? We are carrying out the works as part of the Wolverhampton Interchange that aims to improve the transport system in the city. When opened, the new West Midlands Metro extension will provide a truly multimodal transport network in the city of Wolverhampton. Public transport users will easily be able to change between bus, Metro and train as the new extension serves both the bus interchange and the railway station. 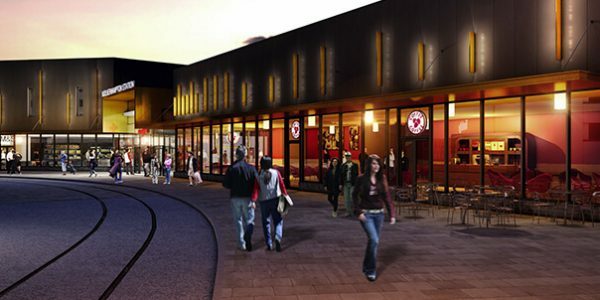 The current terminus at Wolverhampton St. George’s will continue to be used with its convenient location close to Wolverhampton’s shopping district making it perfect as a ‘shopper’s service’. 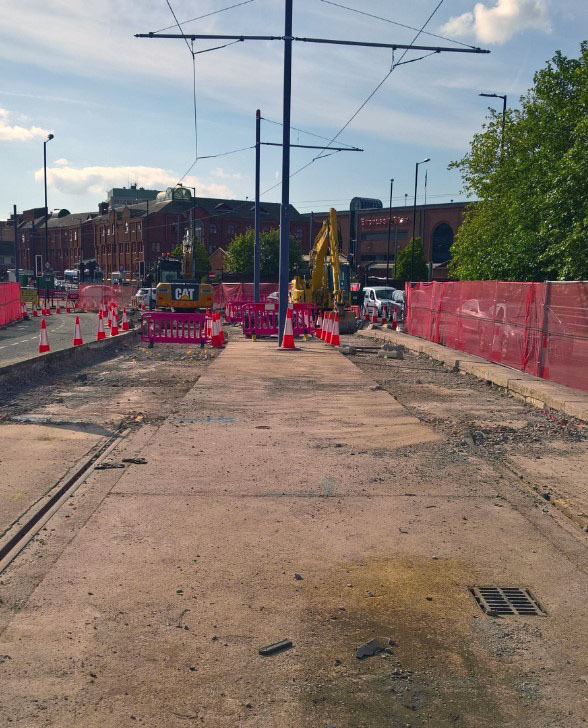 The second phase of the works in Pipers Row has reached a major milestone, while Railway Drive will remain closed until the autumn as work on phase three of the project continues. There will also be ongoing footway and public realm improvements in and around Pipers Row taking place throughout the autumn. Has Pipers Row reopened to traffic? Yes, Pipers Row has reopened to traffic and the diversions on Tower Street, Castle Street, Queen Street, Berry Street and Lichfield Street have been lifted. Will I still be able to drive down Pipers Row from Bilston Street? Although all vehicles will be able to access and exit Pipers Row, a diversion remains in place for access to Pipers Row directly from Bilston Street. Vehicles wishing to access Pipers Row from the right-hand turn on Bilston Street will need to follow the diversion via St Georges Parade and Garrick Street, before turning left into Pipers Row at Bilston Street. This will be in place until signals are installed at the right-turn junction shortly. Will pedestrians still be able to walk along Pipers Row? Pedestrian access is being maintained at all times. However, as it is a live work site, pedestrian routes may change periodically as the work progresses. Bus services affected by the closure of Pipers Row have returned to the bus station. However, as the opening of Pipers Row coincides with the autumn bus timetable revision, please visit www.networkwestmidlands.com to view any changes to services. Can I still drive down Princess Street? No, as Princess Street has returned to a pedestrian only zone following the completion of works on Pipers Row. What provisions are in place to reduce noise while work is being carried out? Unavoidably, there will be some noise disruption during the works but we aim to minimise this wherever possible. Noise monitoring equipment has been installed at Wolverhampton Crown Court to assess noise levels, while we always aim to give advance notice whenever particularly noisy works are scheduled to take place. When will the new Metro open for passenger service? 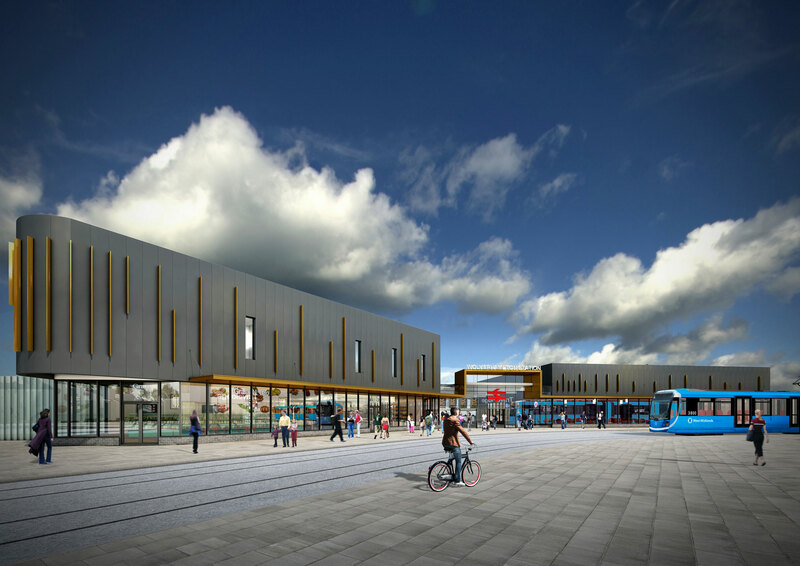 The Midland Metro Alliance is working closely with the City of Wolverhampton Council and other partners in the Wolverhampton Interchange with the aim that the Metro will open for passenger service following the completion of the new railway station in 2020. Where will the Metro run to and from? When the extension opens after the railway station is complete, the Metro will run from Birmingham Grand Central to Wolverhampton St George’s and Wolverhampton Railway Station. Every other Metro will terminate at Wolverhampton St. George’s as part of a ‘shopper’s service’. Passenger information will be displayed on the front of the Metro and at all stops. During construction of the extension, the Metro will serve Wolverhampton St. George’s as usual. How many new Metro stops will there be? 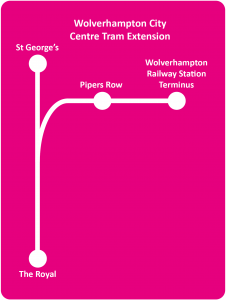 The Wolverhampton City Centre Extension includes three new Metro stops. Two of these (one on either side of the road) will be in Pipers Row to allow easy interchange to and from the city’s bus station and one will be at Wolverhampton Railway Station, where the Metro will terminate. As a visitor to Wolverhampton, how will I get to the city centre when arriving from the train station? 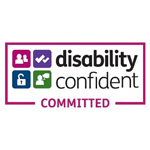 Visitors are able to access all businesses and retailers, including both the Mander and Wulfrun shopping centres. There will be clearly signed diversion routes to assist pedestrians to find their way to the city centre whilst works on Railway Drive continue. Will I be able to get to the Wolverhampton Crown Court? Yes, pedestrian access will be maintained at all times. However, if you’re arriving by Metro, you will have to exit Wolverhampton St. George’s tram stop at its intersection with Market Street to cross to Bilston Street.